Hello! 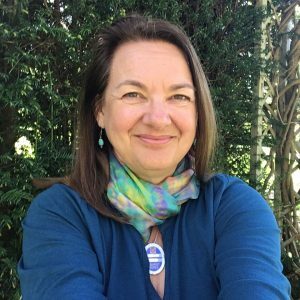 My name is Anna Gray and I am an experienced Blue Badge Tour Guide offering friendly and informative guided tours of the Lake District, Hadrian’s Wall and other areas of Cumbria. On my guided tours, you will receive an in-depth understanding of the historical and cultural landscapes you visit, but delivered in such a way that the information is easy to digest and easy to remember. What makes a good guided tour? Good preparation is essential to ensuring my guests receive the best possible experience. Once I know more about your interests, the time you have available and your levels of fitness, I can then develop an itinerary and a guided tour that is tailor-made for you. I don’t bombard you with information from the very first minute. Instead, my aim is to build up your understanding bit by bit so that by the end of the tour you will be fully informed about what you have seen and experienced. Learning should be fun and that is what I want you to experience during our guided tour. By gradually building up your understanding of the history, heritage and breathtaking landscapes of Hadrian’s Wall or the Lake District (both World Heritage Sites), you will feel enriched with positive memories that you can share with others. You are not joining a group or having a set tour that is repeated on a daily or weekly basis. This is your tour, and by listening to and understanding your requirements, I can develop the optimum tour that works for you. There are many benefits to hiring a guide. Unless your tour is organised through a third party, I will be your main contact throughout the planning process. You will receive a high level of understanding, delivered in a friendly and personable way. Before the tour, you can benefit from using my local knowledge on accommodation and transport options, and on the most scenic and interesting routes to take. You can rest assured that your tour will have been carefully planned from the outset so that everything falls into place as it should. At all stages, I will advise you on what is realistic and practical to include during the time you have available – yet be flexible to your needs on the day. 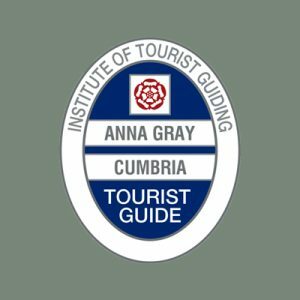 I am a fully trained Blue Badge Guide, registered with the Institute of Tourist Guiding and a member of Cumbria Tourist Guides. As someone who enjoys planning trips, Anna is a joy to work with. She’s very good at pacing a trip and she is by far the best prepared guide I’ve ever known. She’s very knowledgeable about all the places she’ll take you to and matches the level of detail to what her clients want. Create personalised itineraries and guided tours of Cumbria to suit your particular interests. Plan routes to enable you to maximise your time in Cumbria, the Lake District and Hadrian’s Wall. Provide informative and entertaining commentaries during all stages of the guided tour. Accompany you on coach/minibus tours, in chauffeur-driven cars, on public transport, by bicycle or on foot – whatever mode of transport suits you best! If you require a chauffeur-driven service, I can recommend Chauffeur Tour Scotland and Lakeland Chauffeurs for the ultimate in luxury cars driven by friendly and experienced drivers.